Astro Anarchy: IC 1396, the home of the "Elephant's trunk Nebula"
IC 1396, the home of the "Elephant's trunk Nebula"
At the same night, 16. October, I shot my previous target, I had some time left before dawn. 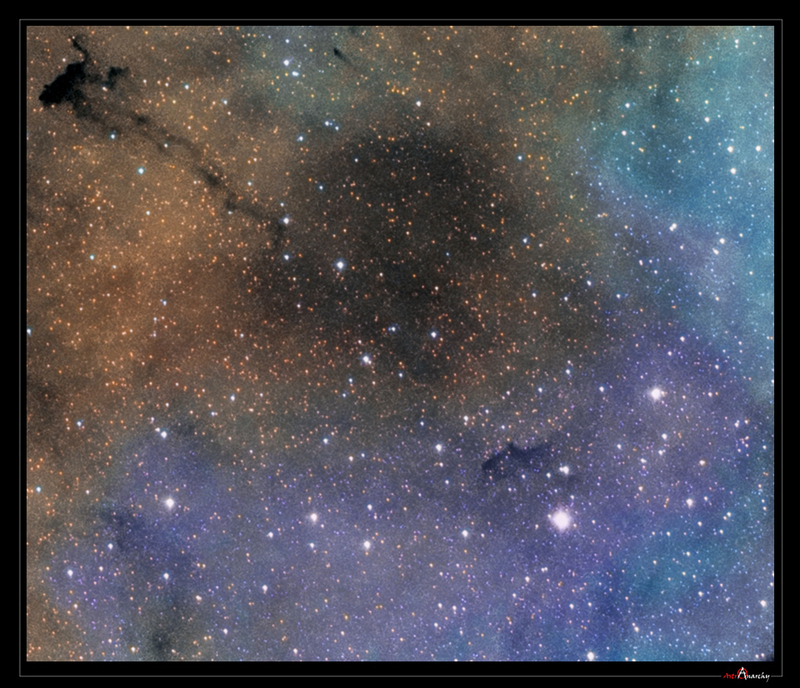 I shot few frames, 6x1200s, of H-alpha for IC 1396. Last time I shot this target, I was using a HY8 single shot color astronomical camera. As it's a color camera, bayer matrix cuts down the effective resolution about 1/4 of the native resolution of CCD. I wanted to test, how visible this difference is. 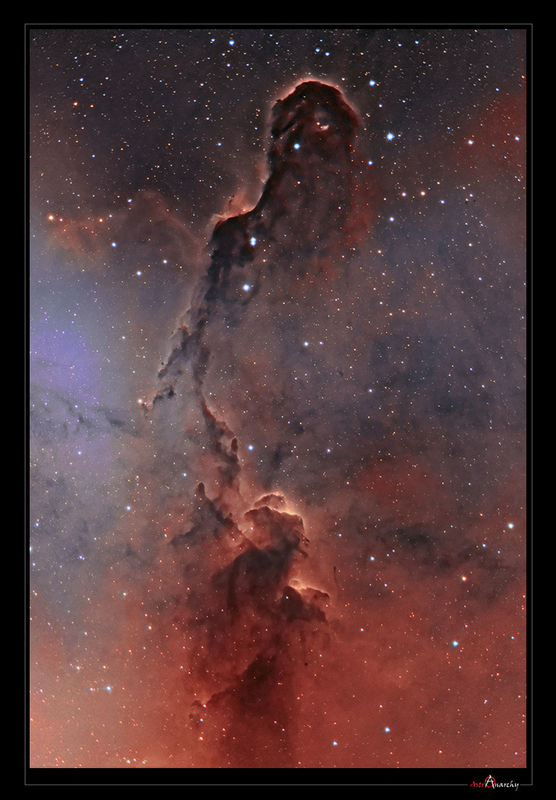 Older image of IC 1396 can be seen HERE. The difference in resolution is impressive, stars are much tighter now. i did use O-III and S-II channels from this older image to build color compositions. (Resolution of those channels doesn't have any effect to my final image, since I'm using my "Tone Mapping" technique. IC 1396 spans hundreds of light years at distance of about 3000 light years in constellation Cepheus. The famous formation of glowing gases, the "Elephant's Trunk Nebula" can be seen at six a clock position. This is an active star formation region and it has several massive young stars inside of it, coursing the ionization of elements in this emission nebula. 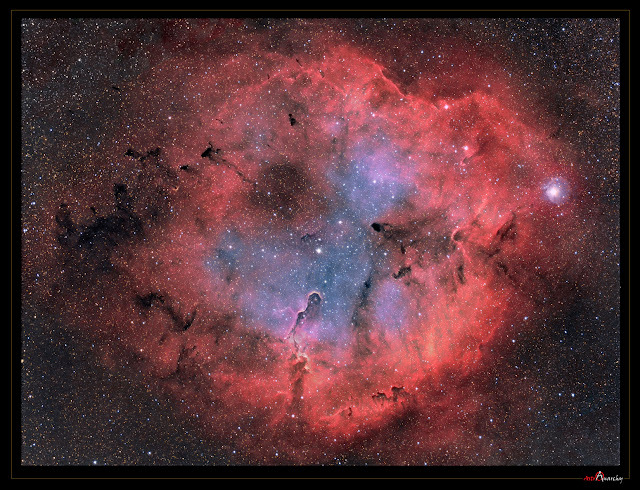 Older, longer focal length, closeup image of the "Elephant's trunk Nebula"